Box Tops for Education is one of the nation’s largest school earnings loyalty programs and has been helping schools succeed since 1996. With over 250 participating products, it’s an easy way for schools to earn cash for the things they need. Please clip the Box Tops from each package and send to the school. Box Tops are each worth 10 cents for the school. We are getting set up with Giant, Safeway and Harris Teeter for their school rewards programs. Please take a moment to fill in your club card numbers and send the form into school with your child. Register your Giant Card at http://www.GiantFood.com/register. Go to the A+ page found under my Giant Card in the purple bar. 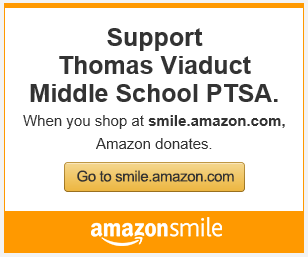 Follow the instructions to designate Thomas Viaduct Middle School. Our School ID# 18340. Once you register, no need to re-register! We are also working on setting up accounts with Target Red Card, Box Tops, Giant and Harris Teeter. More information to come! Please contact our fundraising chair at tvmsPTSA.vp2@gmail.com with any questions!